The destruction of habitat at Seaside Park by Coun. Blake Armstrong allegedly is not the first time the city official used his excavator to disrupt public land without permission. The destruction of habitat at Seaside Park by Coun. Blake Armstrong is not the first time the city official used his excavator to disrupt public land without permission. 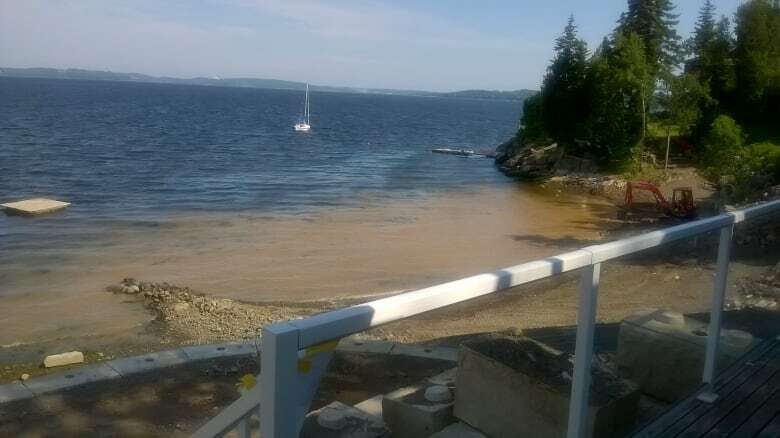 Christine Chisholm, a resident of Grand Bay-Westfield, said the councillor used the same excavator to disrupt beach in front of her and Armstrong's cottage properties in July, "knowing, darn well that there are authorities that need to be contacted." "The regard for the environment seems to be non-existent for him and he's taken that to a whole new level." She said Armstrong disturbed the Crown land along the St. John River to the point where the cove they shared was left muddy "for days at a time." Department of Environment and the Department of Fisheries were called, she said. The two departments did not respond to CBC's interview requests Thursday. "The Department (of) Environment informed me that there were multiple violations to both the ecosystem … and also the Crown land that was involved," said Chisholm. In an email late Wednesday, Armstrong stated: "I received a visit only from a conservation officer from Public Safety." "He informed me that I had to stay away from the water by a certain amount of feet. I said, no problem and I did. That was the end of it." 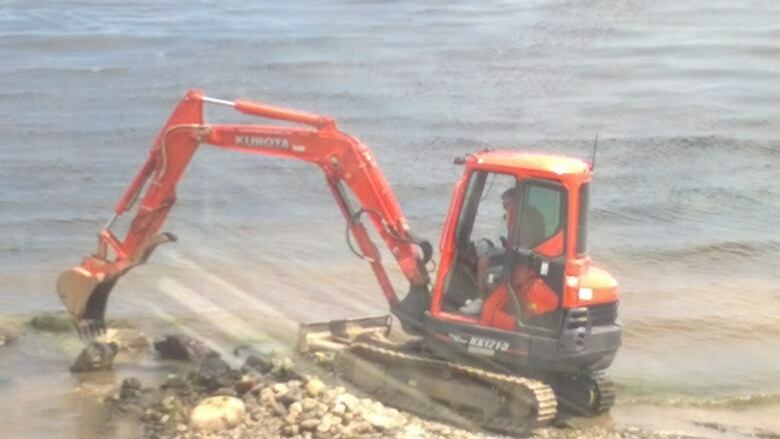 The councillor said he used the excavator to remove rocks from the shoreline. Chisholm is also in a separate property legal dispute with Armstrong. But, the shoreline isn't the only place allegations of Armstrong damaging natural land have emerged. 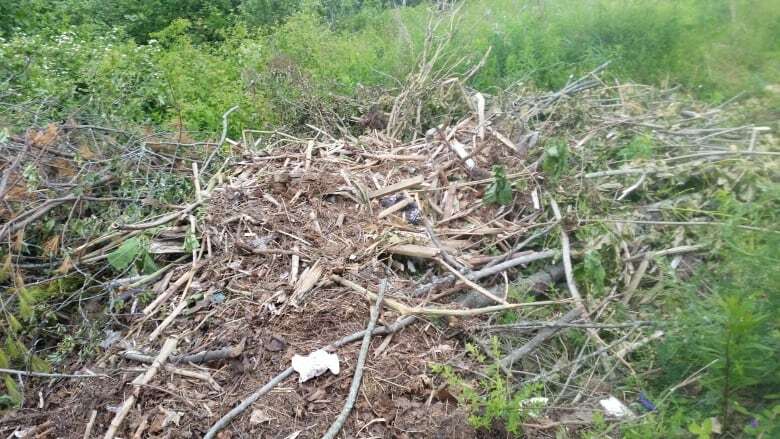 Mary-Lou Price said she witnessed the councillor illegally dump material near her house on Riverview Drive on the west side, not far from the Reversing Falls Bridge. "He admitted to dumping it, he admitted it to [city manager] Jeff Trail that he dumped it," Price said. "And Jeff Trail reiterated that to me." "[Trail] said, 'Yes, he admitted to dumping it there.'" She says she's had both email and telephone correspondence with the city manager. Price said she witnessed the councillor enter the area with his truck filled with materials. She said it was the truck Armstrong campaigned in, which includes his name written in big white letters on the side. Price stayed hidden while taking a poor-quality video of the incident. She said the councillor left with an empty truck. She then photographed the area. "You're a city councillor," Price said. "You were voted into represent the residents. Take pride in the community you're representing. Armstrong did not respond to interview requests Thursday about that incident. But, Nancy Moar, a spokeswoman for the City of Saint John, confirmed Armstrong dumped on the ground without permission. "I was able to catch the city manager for a minute. He did confirm that the incident described below did occur," Moar wrote in an email Thursday. Price said the reason she hadn't spoken to the media previously is because after he was confronted, Armstrong agreed to clean up the mess. Last week, Armstrong cleared a path in the city-owned Seaside Park. He said he restored it to how he remembered the area growing up. Saint John Coun. Blake Armstrong says he will not go on public property with his equipment again. (Connell Smith/CBC)The Ward 1 councillor made a public apology at council on Monday night. "At no time was I intending to damage any of the property," he said at the meeting. "I realize now I made an error in judgment and I will not be going onto the public property with my equipment again." He said he's willing to pay for any restoration. A public affairs officer for the Saint John Police Force said Wednesday no investigation is ongoing, as no official complaint has been made. 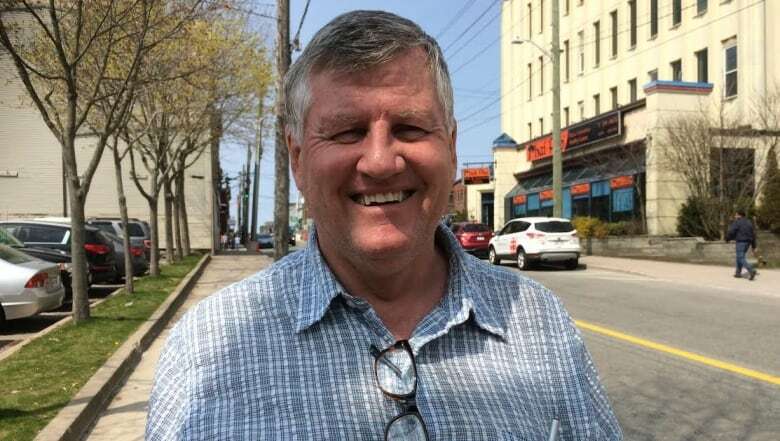 Graeme Stewart-Robertson, executive director of ACAP Saint John, an environmental community-based nonprofit that works with habitat restoration, said illegal clear cutting happens more than people know. For an individual, the fine can range from $500 to $500,000. But, he said these violations are rarely enforced, with government preferring to work with the individual to restore the land rather than fining them. "It's not unheard of, but it's not as common as the infraction itself." The removal of the foliage at Seaside Park could leave the area exposed to a greater threat of erosion, an ongoing problem in the area, Stewart-Robertson said. Still, he said restoration of such a habitat should be easy. "It could just be the matter of bring some topsoil and planting vegetation," he said. "It's just a matter of adding a few variables and giving it time." Armstrong wrote in his email Wednesday he had a vision for Seaside Park he believed many would enjoy, but couldn't be achieved overnight. "It is disappointing how I have been portrayed," Armstrong wrote in his email. "I have always cared about my city and community. I have tried to be active in both and would never intentionally hurt the environment."